Mazda MX-5 2.0 GT Sport Nav+ 2dr 2019 Review | What Car? What Car? will save you at least £1,651, but our approved dealers could save you even more. This top-spec trim gets a boot spoiler, nappa leather seats, blindspot monitoring, adaptive LED headlights and a rear-view camera. Well equipped but rather expensive thanks in part to it being offered only with the 2.0-litre engine. This 2.0-litre engine is far more flexible than the 1.5-litre unit and loves to be revved hard, too. 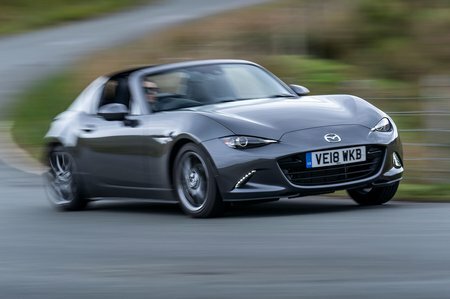 It's quick enough to make the MX-5 feel like a proper sports car without over-egging things.